This is the fourth of a series of cases in connection with the payment of extra interests at the OceanBank that involved Ha Van Tham, former Chairman of the Board of Directors of OceanBank. Three defendants in the case are Do Van Khanh, former Director General of the PVEP, Nguyen Tuan Hung, former head of PVEP’s Financial Department, and Vu Thi Ngoc Lan, former Deputy Director General of PVEP. They are charged with abusing position and power to appropriate property under Article 355 of the 2015 Penal Code. 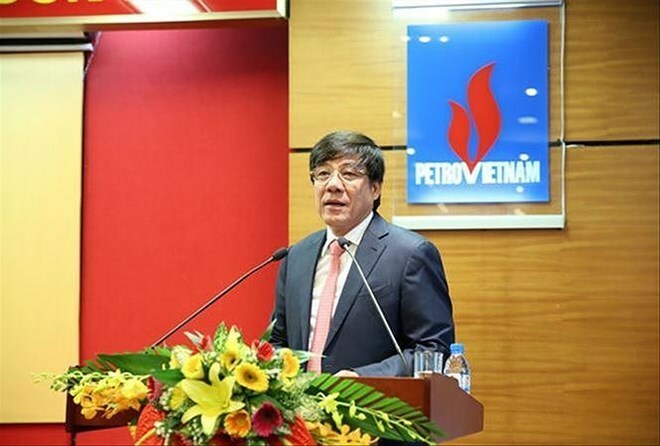 According to the indictment, the PVEP engaged in transactions on deposits of fixed and non-fixed terms at OceanBank during 2009-2014 under the direction of the Vietnam National Oil and Gas Group (PetroVietnam) on prioritising financial services of OceanBank, to which PetroVietnam contributed 20 percent of the charter capital. As the then Director General of PVEP, Khanh assigned Lan, who was then Deputy Director General in charge of finance, accounting and auditing, to approve and sign the deposit contracts with OceanBank. Meanwhile, Hung was the person drafting and submitting the contracts to Lan for approval. At the instruction of Ha Van Tham, then Chairman of the Board of Directors of OceanBank, on paying extra interest which was not stated in contracts to all clients who deposited money in the bank, then Deputy Director General of OceanBank Nguyen Thi Minh Phuong and some other executives of the bank paid more than 51.8 billion VND (2.23 million USD) in extra interest to Hung. Meanwhile, Khanh received more than 4 billion VND from Hung, and Lan received 200 million VND from Phuong.